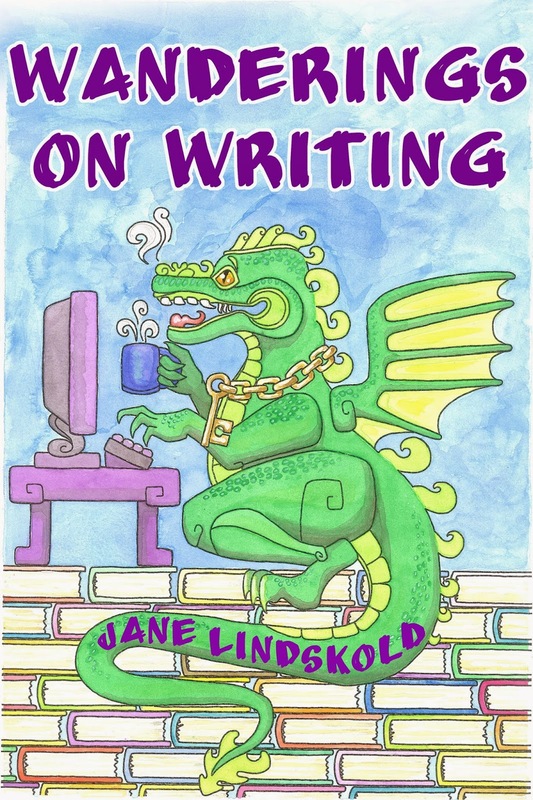 Anyone following this blog will know that I had the privilege of formatting a book by Jane Lindskold that compiles twenty years worth of essays on writing. Anyone who knows any of Jane's books can appreciate what a valuable resource this is. Her essays are inspired, informative, and most importantly, candid. There is no "secret" revealed in this book, except perhaps that there is no secret to success. It takes hard work and discipline and in these pages Jane will teach you how to focus your efforts to produce quality fiction and a sustainable career. We are giving away a signed copy of this book. Entry details below! Wanderings on Writing is not just a “how to write book.” It’s also a window into how one writer has managed to fit writing in around the demands of “real” life. Over fifty essays address topics as diverse as hooking a reader, presenting conflict, creating vivid characters, and research strategies. Throughout, Lindskold provides examples of the unique challenges faced by writers of science fiction and fantasy. Lindskold also examines less commonly addressed topics, such as making time to write and organizing a developing project. Jane Lindskold is a New York Times bestselling, award-winning author. She has had published over twenty novels and sixty-some short stories, as well as numerous works of non-fiction. wish i had seen this giveaway 4 months ago! If you're in the area, come see Jane at Bubonicon. And we'll be releasing a short story collection by her in the near future, so keep an eye on this blog for an announcement and giveaway for that!